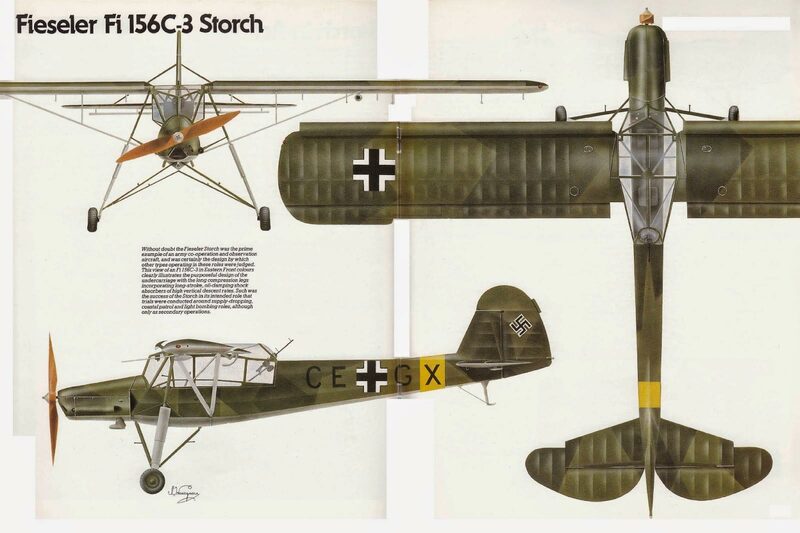 The legendary Storch (“Stork,” in English) was developed for the Luftwaffe in 1935 and is considered to be the granddaddy of short takeoff and landing aircraft, for good reason. It readily fulfilled its mission of liaison, observation, close air support, staff transport and medevac, and notoriously was used in Benito Mussolini’s escape from the 9,000’ mountaintop prison at Gran Sasso after Italy’s surrender to the Allies during WWII. 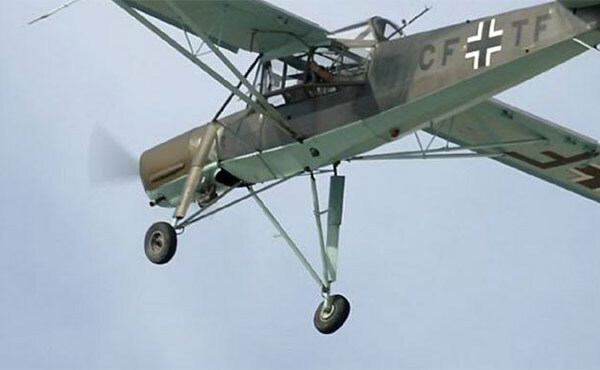 The Storch succeeded so well that production was continued after the war in France and Czechoslovakia, and the design spawned several full-sized and 3/4-scale copies that were manufactured in many other countries. Replicas of the original airplane are still produced today. Inspired engineering, incorporating some very promising innovations in aircraft design. Leading edge wing slats were developed at about the same time by Frederick Handley Page in England, and Gustav Victor Lachmann in Germany. These slats are aerodynamic surfaces attached to the leading edges of the wings of fixed-wing aircraft, allowing the wing to operate at a higher angle of attack. Airplanes so equipped can fly and maneuver at slower speeds, and land and takeoff in shorter distances. 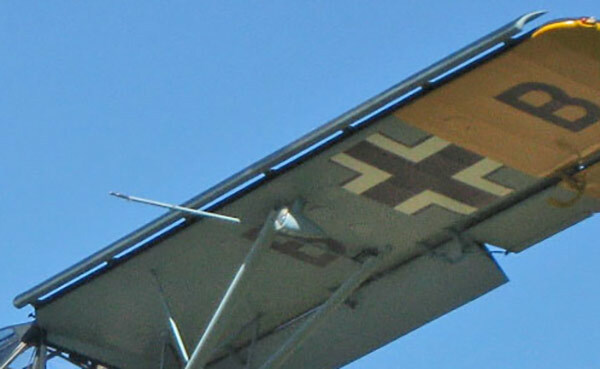 The long wingspan of the Storch is rendered even more effective at generating low-speed lift by adding these slats. Derivatives of the Handley Page design are in use today in commercial airliners as well as a number of STOL aircraft. Fowler-type flaps droop and also extend to increase wing area. On the Storch this increase amounts to 18% of an already very generous wing. 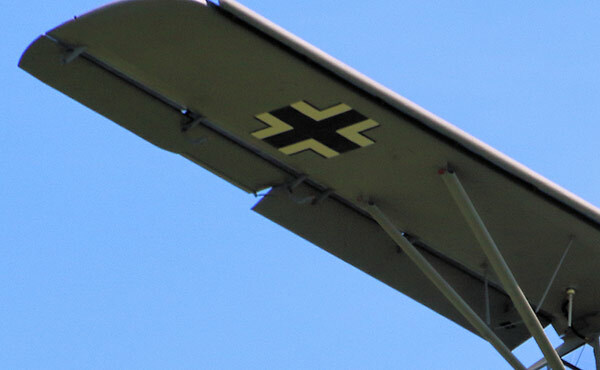 The Storch’s ailerons are synchronized to droop with the flaps when they extend past 20 degrees, forming in effect a full-width flap that creates powerful additional lift and drag. Although the Storch weighs in at about 300% of a J3 Piper Cub, it is capable of slower flight and shorter takeoffs and landings. Materials and manufacturing techniques have improved a good deal since the 1940s, and as a result we are able to build superior airplane todays. But many early flight innovations have proved to be timeless. 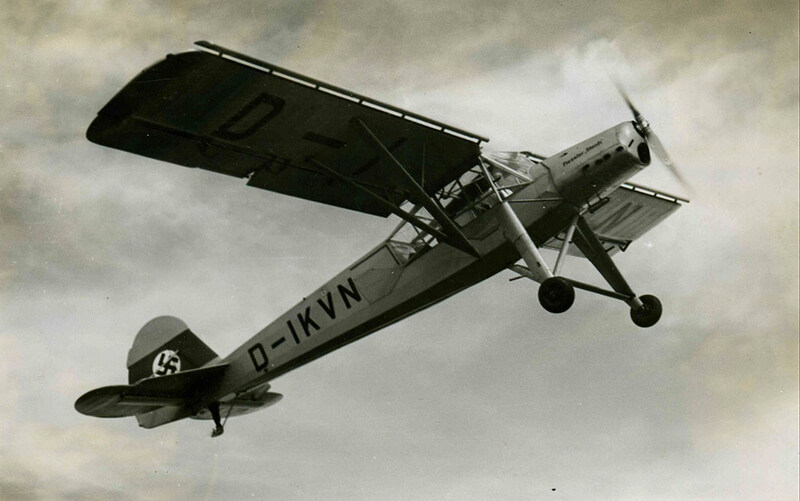 The Storch remains a landmark in STOL design, because the engineers and inventors who contributed their ideas to its development introduced aeronautical innovations that are as useful and practical today as they were then. Savage aircraft are distributed in the USA by SportairUSA, LC. Located at KORK North Little Rock Municipal Airport, North Little Rock, Arkansas. Savage aircraft are manufacured by Zlin Aviation, s.r.o. Located in Napajedla, Czech Republic. SportairUSA, LC, is an FAA certificated repair station and the United States distributor for aircraft manufactured by TL-Ultralight, s.r.o., and by Zlin Aviation, s.r.o.